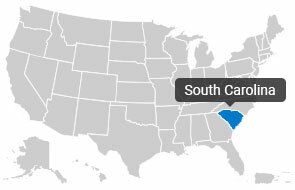 The state of South Carolina is located in the deep south of the United States. To its north is North Carolina, to the south is Gerogia, and to the east lies the Atlantic Ocean. With a population of 4,625,384, the state ranks 24th in the U.S. in terms of population size. It has 46 counties with its capital located in Columbia. But enough about numbers, what you really want to know about South Carolina is the fact that the entire state seems almost tailor-made for vacation and leisure. With its various landscapes and natural charm, matched by a sunny subtropical weather, South Carolina is indeed a paradise all its own. Towards the Blue Ridge Mountains, lie beauties like Table Rock and the various state parks. Onwards to the coastline reside wide sandy beaches packed with vacationers. To add to that, people also love the quaint small towns, rich heritage, and numerous festivals that South Carolina has to offer. It’s such a beautiful area that you can’t just stay in one place. South Carolina is a state with vast types of land areas. You can settle near the mountainside, lay back near the marshes and estuaries, or kick it in the beaches. There’s so much to see and explore, which is why a lot of their people often end up moving from one place to another. And whether you’re going within or outside of South Carolina, there’s something that you should remember: Choose your moving company wisely. There a lot of options in the industry- from the huge multi-million corporations, to the small family-owned businesses. Each one has a specific specialty depending on the equipment and personnel they possess. They can be great for long distances or they can only be suited for local jobs. 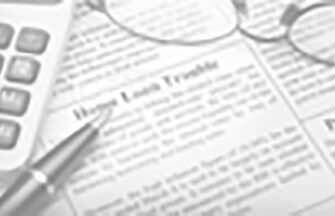 Their services will also depend on your requirements. How much goods you have, and how far your move is going to be. Does it sound like a headache? Don’t worry, it need not be. There are too many options to choose from. At the same time, if you don’t know where to look, it’s so hard to find the right company. It’s a good thing that things can be done online now. Thanks to technology, you can just stay in your home and quickly find the company right for you. All you have to do is visit Top Mover Quotes (www.tmq.us) and you’ll get hooked up with the best South Carolina movers for the job. You just have to fill up a short form and give them your details, and within just minutes, the moving companies will be the ones calling you. It’s that simple. Anderson Tfr. & Stg. of Conway, Inc. Your Moving Company Has Moved! Gentle Giant Charlotte is pleased to announce we are now located at 3827 Barringer Drive, Charlotte. Established in 1980 Larry O'Toole founded Gentle Giant with a friends borrowed truck and a $17 investment: a one-time ad in the Boston Phoenix. O'Toole felt strongly that Massachusetts sorely needed an infusion of quality into the moving industry, and in 1984 committed himself fully to that mission. As noted in the company mission statement, written by O'Toole himself, "We treat our employees with respect and compassion, and expect that they will extend the same courtesy to our customers. "The goal of the company has always been to provide full-service moving "by the greatest team of movers ever assembled," with "no questions asked" customer service, with the mission of making every customer a customer for life. The company takes the "Gentle" part of its name very seriously and does everything possible to ensure a safe, effective, hassle-free move. While this was actually a new concept in the moving industry when Gentle Giant was founded, it has since become the norm, spawning numerous imitators. Meet the Business Owner: Larry O. A native of Ireland and 1973 engineering graduate of Northeastern, where he rowed competitively, Larry O'Toole was a rising executive at Eaton Co. when he quit his job to "escape corporate slavery" and pursue his writing interests while investigating the possibilities of starting a light manufacturing company. On a quest for start-up cash, the 6' 6" O'Toole - the original Gentle Giant - was urged by his friends to add moving to his list of odd jobs. A rower since college, O'Toole is competitive, disciplined, and persistent. A creative problem solver, he prides himself and the company in being able to step in and complete difficult moves with enthusiasm after Gentle Giant's competitors have quit the job in frustration. His efforts have been rewarded, since O'Toole has been recognized for his excellence in leadership by the US Small Business Administration as 2004 MA Small Business Person of the Year and the Cambridge Chamber of Commerce as its 2004 Business Person of the Year.